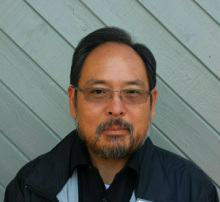 Leonard Narumi currently serves as Visual and Performing Arts Coordinator for the Montebello Unified School District. He holds a B.A. in Music Education from California State University Los Angeles, a single-subject teaching credential from California State University Fullerton, and an administrative services credential which he earned through Cal Poly Pomona and the Los Angeles County Office of Education. As an undergraduate, Mr. Narumi also attended the University of Southern California where he marched and performed as a member of USC’s illustrious “Spirit of Troy” Trojan Marching Band under the direction of Dr. Arthur C. Bartner. From 1983 to 2007, Mr. Narumi served as Director of Instrumental Music and Chair of the Music Department at George Miller Schurr High School, his alma mater, in the Montebello Unified School District. A “Los Angeles County Teacher of the Year” in 2002, Mr. Narumi has been personally recognized with countless certificates, plaques, and proclamations by many municipalities, civic leaders, service groups, and professional organizations – testaments to his long standing commitments to teaching and community service. Mr. Narumi has been twice honored by the SCSBOA with its Gold Star Educator Award. He also twice served as “All-Southern” High School Honor Band Manager for guest conductors Stephen Piazza and Benton Minor; presented at clinics for SCSBOA conferences; served as a percussion support specialist for “All-Southern” and “All-State” ensembles for more than ten years; hosted SCSBOA “All-Southern” Middle School/Junior High School auditions; is active as a parade adjudicator; served as the association’s Vice-President of Honor Groups from 2003 to 2005; served as First Vice-President from 2009 to 2011; and has served as a mentor teacher to many throughout the years.